It has been way too long held that the Hippocratic Oath, the oath that many physicians take when entering medical practice, contains the admonition to at least, “first, do no harm.” Well, it doesn’t, and never did. Hippocrates did indeed originate the phrase, but it was in his writings titled Epidemics, Book I, Sec. XI, when he said, in part about treating disease, “..to help, or at least to do no harm.” If only we as humans could take the same approach when it comes to dealing with animals or wildlife. No, I’m not preaching or “soap-boxing,” but it can’t be denied in any rational way that we humans perpetuate the most heinous atrocities against helpless, defenseless, and unarmed creatures in the name of profit, sport, jobs creation, trophy collecting, and even imagined superiority. After some water and feeding, Jean tried to see if it would fly. inside, where it soon passed away. This poor creature was one of a couple Jean received for rescue, but by that time it was already too late and their fates were sealed. The ongoing drought has greatly reduced the bug population, which causes those who feed on them to starve to death. A few years ago it was purple martins that literally fell from the sky in the thousands from starvation. Now bats are suffering the same fate. I’m a mosquito magnet, and can attract dozens of blood suckers when no one else around me is aware a single bug exists, so I’m not missing mosquitoes. When we do have them, however, bats are our best friends. A single bat can consume between 600 to 1000 insects in a single hour. A nursing mother bat will down 4,500 bugs a night, a full 100% of her body weight. One colony of bats in Texas in a prime feeding spot is calculated to eliminate 250,000 POUNDS of mosquitoes, moths, and beetles nightly. Nope, that’s not a misprint. It seems you can’t kill bad information with a stick, let alone education, so old, foolish wives’ tales about bats persist. The first is that bats carry rabies. Bats are mammals, but carry no more rabies than any other mammal. They will nest in your hair. No, they may fly close occasionally in pursuit of bugs they see pursuing you, but both you and your hair are quite unattractive to them, and they are quite skillful flyers. “Blind as a bat,” is a misplaced insult for people prone to stumbling about. Bats in fact have quite acute eyesight, as you should expect of any creature tracking gnats in the dark. Their radar capability that supplements their sight, however, is so sophisticated that it surpasses any technology devised by man. Another silly insult was about someone having bats in their belfry. If you do, celebrate your good fortune and do two things: build several bat nest boxes to keep them safe and happy, and pull up a chair and enjoy the air show. Bats are about the most skilled of all flyers, and the only flying mammal. No, flying squirrels glide short distances, but can’t fly. Unlike insects that can breed by the millions, bats have only one offspring a year, which they nurse for six weeks until it can fly and catch on its own. The loss of one bat takes an entire year to replace. 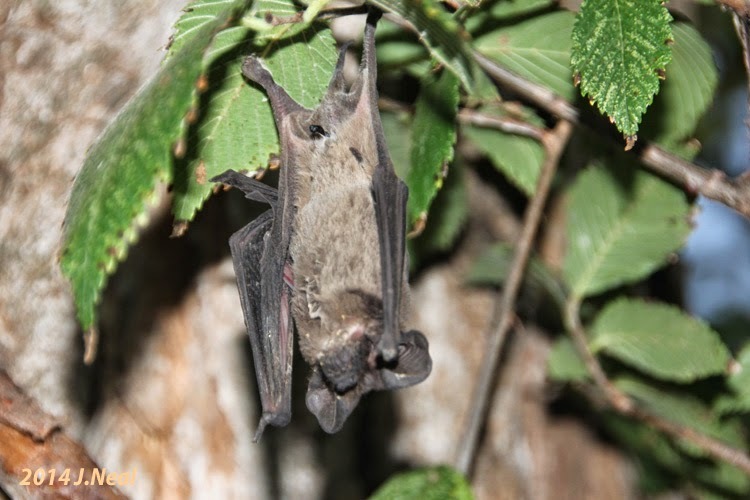 The first bat Jean got was so weak and malnourished that its hind feet had been bound together by spider webs, and it was unable to free itself to feed, drink, or sleep, and it was found lying on the ground. The second, also too weak to fly, was found lying in a store parking lot. A good Samaritan was about to check on it when another man got out of his vehicle and used his big cowboy boot to kick the defenseless critter as far as he could across the parking lot. So, by the time Jean got it, the bat was in really rough condition. It was so starved that it was as light as a dust bunny, and it’s hard to tell what internal injuries it sustained from the kicking, but it died a few hours later. If the cowboy knew too little to know the value of bats, or how to help, he could at least have avoided doing harm.